Take home the spirit of Halloween with these Beistle Series 1 8-Inch Plush! Based off the original artwork from 1920's, these adorable 8-inch plush feature some of the most iconic characters from Beistle. 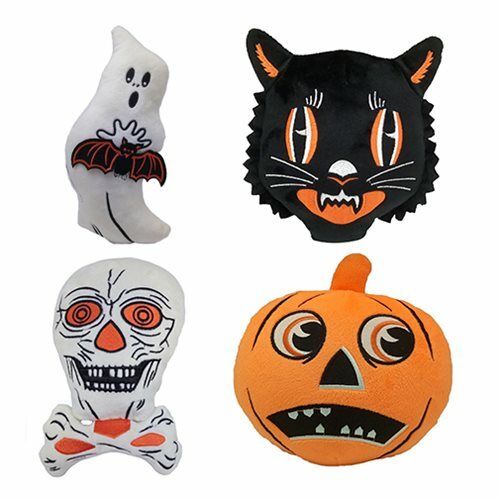 Choose from Scratch Cat, the Jack-O-Lantern, and the Ghost with a Bat. Each one includes embroidered details and a soft, plush interior. Creepy Co has partnered with storied paper Halloween decoration manufacturer Beistle. Established in 1900, The Beistle Company is the oldest and largest manufacturer of decorations and party goods in the United States.